VICTORIA, BC – Spinnakers Brewpub has announced the next beer in its Brewer’s Reserve series of limited edition releases will be available this weekend. Delicately sour, Malus is a balanced blend of carefully selected barrels that aged for a year before a heaping addition of handpicked crabapples, from our own back yard, as well as locally harvested plums and blackberries. This beer then aged on fruit for an additional 6 months giving the wild yeasts from the fruit time to develop. 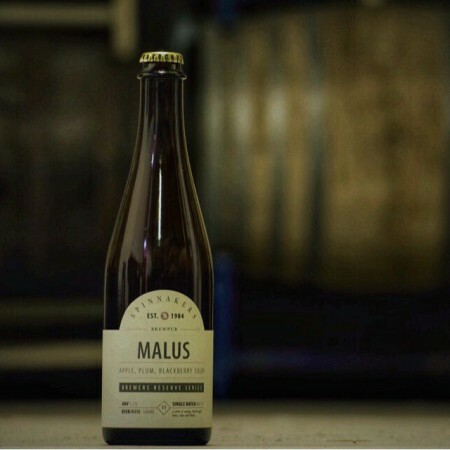 Malus will be released this Saturday April 21st in a limited run of 90 cases. The release party at the brewpub will also serve as the launch for several summer brands from Spinnakers including Iced Tea Pale Ale, Peach Hef, and Raspberry Lager. For more details, see the Facebook event listing.